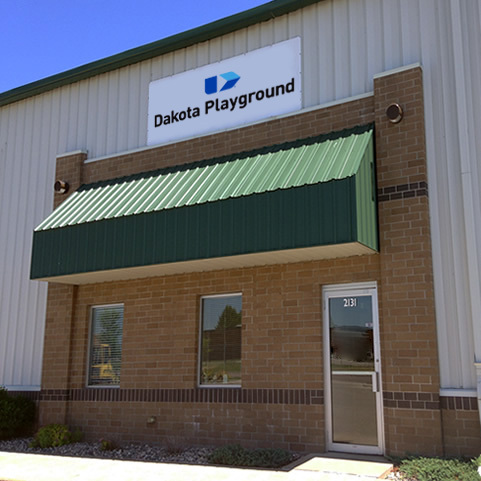 Dakota Playground, a Division of Dakota Fence, is the Upper Midwest’s premier provider of playground equipment and other park and recreation products. Through great service and quality products, at an affordable price, Dakota Playground has earned an excellent reputation for complete customer satisfaction. Dakota Playground services North Dakota, Minnesota, South Dakota, Montana and Wyoming. Our team of seasoned professionals, most with 20+ years of experience, have been trusted to manage projects of all types and sizes. And with our vast array of equipment and product offerings, you can be confident we have the resources needed to get your job done correctly - on schedule and within budget. When it comes to playgrounds, our friendly and knowledgeable staff are with you from start to finish on your project. We would be happy to visit your site, assess your needs and customize a playground design based upon your wish list. We can then provide you with a free proposal, site drawings and a colorful 3D rendering of your playground. We'll continue to work with you throughout the process in order to achieve your project goals. When you choose a project installation with Dakota Playground, you'll have access to the knowledge and experience of our in-house installation crews, who are Certified Playground Safety Installers and are fully equipped to install any of our other product lines. Our installation crews are also well versed in supervising community-build installations that employ a team of local volunteers, which creates community pride and reduces installation costs. At Dakota Playground, we associate with only the finest manufacturers and are widely regarded by those manufacturers as one of their most dependable partners, earning many distinguished awards over the years. We are affiliated with and sponsor a number of organizations who focus on the wellbeing of children. We are certified, licensed, bonded and insured. We encourage and assist our employees to further their knowledge by offering a variety of training opportunities. We appreciate projects of all sizes - no project is too large or too small. Thank you for considering Dakota Playground and we look forward to the opportunity to work with you in the very near future. Need a Fence or Signs? Dakota Playground is a division of Dakota Fence, the Upper Midwest’s largest fence contractor. Dakota Fence, founded in 1972, can service all of your fencing needs. If you are in the market for signs (e.g. school crossing signs, no parking signs, handicap signs, stops signs or any other type of custom sign you can imagine), 3D Specialties, Inc., a subsidiary of Dakota Fence, is available to serve your needs. Please visit their website at www.dakotafence.com for more information.